An exclusive limo provide an attractive offer for couples in Russia who want to beautify the moment of marriage. A car that initially is very famous for luxury and comfort named Chrysler PT Cruiser, which transformed into a sacred royal carriage luxurious. 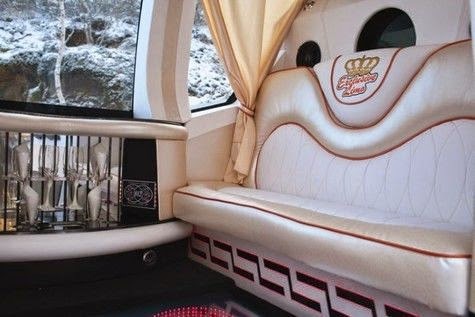 Not carriage with vintage accents however this exclusive limo offers luxury long limo figure with the same impression on the royal carriage. 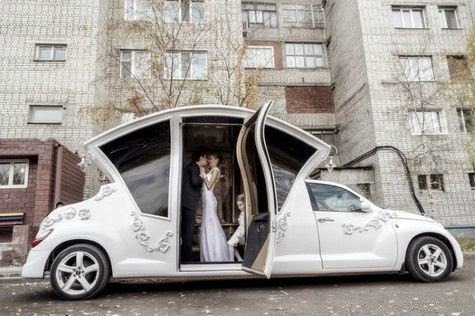 Modification, clearly become an important point to realize the carriage in the form of this limo. Stay with comfort because the wheel axis distance is very long, Limo received additional middle cabin similiar with the actual carriage cabin. Interior design that does not lose its luster with this luxury brand, an important moment of a wedding should be supported by an elegant trinkets and sacred. The interior is classy and romantic manifest in the dominant combination of white with red stripes and black accents and lighting effects. Its floor Capable reflecting radiant of amorous happy couple is the effect of the use of mirrors. Plush curtains also be glamorous accent amplifier presented in the cabin.